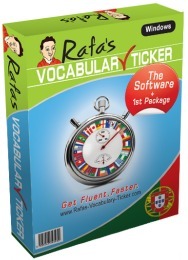 Learn Portuguese On-line with Rafa. Learn Portuguese On-line With Rafa! Do you want to learn Portuguese on-line? Please drop me a line on the box below now, and I promise to reply to you as soon as I get your e-mail. You have come to the right place to learn Portuguese. When you learn Portuguese on-line with me, you can rest assure that I will provide you with the best content, and best strategies. These, adapted to your personality and your individual learning style, will make it possible for you to learn and communicate in Portuguese as quick as possible. Hey, come on" Learn Portuguese on-line is fun! And it's comfortable too. And please don't forget, the first session is free! - no questions asked! You can also add me on skype. Let's have a chat. My skype ID is: learn-portuguese-with-rafa.com. I started learning on January (using a language programme) but wanted to take some classes to aid my learning. When I looked on the internet there were so many options and I felt overwhelmed but one day whilst randomly looking on different websites I found Rafa's site and thought it was the best site I had come across but when I found out he did lessons in London I was thrilled - I emailed him and he promptly responded and we arranged to meet for a coffee the next day. Rafa was so confident that I would find his lessons successful that he offered me the first lesson for free and he was right! I have been really impressed with my progress since January and to put it into context - on my first lesson my only contact with Portuguese was 8 lessons on a language programme. With Rafa, we started going through the alphabet and pronunciation rules and now, three months months later we are talking in Portuguese about holidays, life in London and even the socio-economic fortunes of young people in Brazil! Now that Rafa is doing research abroad, we are still having our regular classes. It's great to learn Portuguese on-line with him. 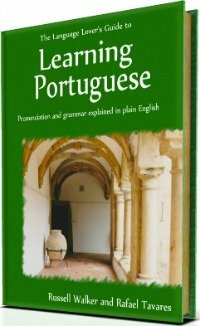 This site is just amazing - I really enjoy having the resource available to learn Portuguese - and have learnt so much from it already. Please keep adding more! "A great Portuguese teacher! Rafa speaks excellent English, and as a result is able to explain subtleties that other teachers can't. He can speak Portuguese clearly for the beginner or with the slang and difficult pronunciation that everyday Portuguese so often use. This is a great help. The use of Skype to conduct a lesson at a distance is great. When I learn Portuguese on-line it works absolutely fine. His site has lots of goodies and is very useful. That, combined with Rafa himself as a teacher over Skype is an excellent way to learn the language." "I think that's absolutely brilliant to learn Portuguese on-line with Rafa. I'm impressed with the results just after having a few classes! After our first week of lessons I've tried conversing with my friends. They are Portuguese native-speakers and they were impressed too! They are even complimenting my accent. I try to have classes every week without any interruptions but when I have to miss a class, Rafa revises everything we have covered before and I find it very useful. Thank you Rafa! "It's just great to learn with Rafa. His enthusiasm, dedication and humour are really inspiring and encouraging. 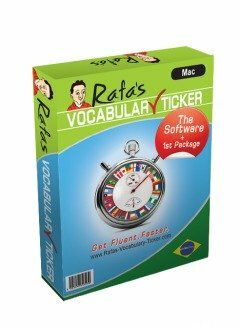 I have tried other teachers before but never learnt as quick as I learn Portuguese on-line with Rafa. A student could not ask for a better Portuguese teacher." Congratulations on your site, which I have just found. I began Portuguese just a few weeks ago at weekly evening class and, despite being a pretty good Spanish speaker, am finding Portuguese pronunciation hard going. Your section on this topic, plus the free lesson at front of site, are a definite help to learn Portuguese. Muito obrigado!" "I have been deeply impressed by Rafa's structured way of teaching and his ability to identify the really key aspects for his students, thus enabling me to advance very rapidly without spending time on less important or extraneous topics. I love the website!!! I can see that a lot of long nights and a lot of thinking went into this site. This is indeed a great resource to learn Portuguese on-line. Comments like these are my fuel, and it's when I see those (who learn Portuguese on-line with me) communicating and expressing their thoughts in Portuguese, that I conclude that the effort pays off. Definitely! So, let's learn Portuguese on-line! Yes. Let's do it! Go Back From Learn Portuguese On-line To Home Page.